Calling all local history buffs! Here's a chance to take a sentimental stroll down memory lane this coming Monday night, 7:30 p.m. at the Altadena Community Center, 730 E. Altadena Drive. You'll see rare Images of Altadena in the 1940s and hear a personal memory of what it was like to grow up here. Richard Bale, 83, moved to Altadena with his mother and sister in 1939. 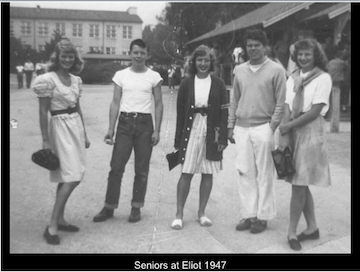 He attended Altadena Elementary, Eliot Junior High and John Muir High School before being drafted into the Korean War in 1951. He remembers that it wasn't uncommon to see horses and cows pastured on the west side of Altadena, and chickens and pigs in people's yards. Some remaining orange groves stretched for blocks. 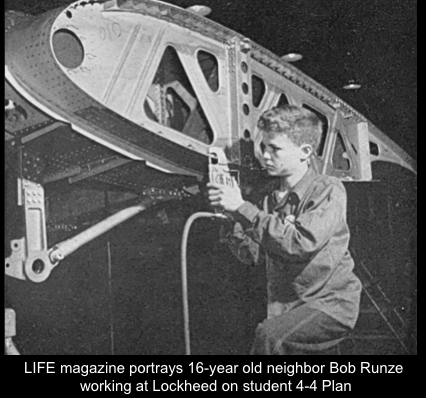 He also remembers a few small factories that helped supply America's World War II effort, including a home that had been turned into a machine shop that spit out precision parts for Lockheed 24 hours a day. Monday April 27, 7:30 p.m. Celebrating its 80th anniversary, Altadena Historical Society has extensive archives of local history in the Community Center and is open 9 a.m. to 1 p.m. Mondays, Tuesdays, Fridays and by appointment. The Society can be reached at 626-797-8016.